Washington, D.C.: One hundred years ago this week, a war-weary world nervously looked on as negotiations for an armistice of the bloodiest fighting in history was coming to fruition. More than forty million people had become casualties of World War I. Amongst the 9-11 million deaths of military personnel were more than 117,700 Americans. The ceremony launched a series of commemorative events, giving the public a first look at the National World War l Memorial, Washington, D.C. and marking the Centennial of the Armistice that ended World War I. Visitors to Pershing Park could also get a first look at a model of the proposed World War I monument. The “First Look” pavilion will remain open throughout the weekend. What does the new memorial mean to the grandson of Sgt. 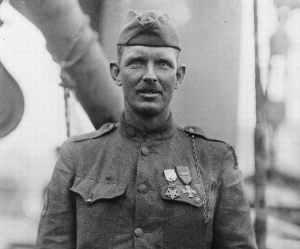 Alvin York, one of the most decorated United States Army soldiers of World War I? “Oh, it’s an honor, said Gerald York. “One, to be associated with it; and two, to have something that commemorates what the country went through a hundred years ago. “To honor the service of many, many Americans, but particularly my grandfather. 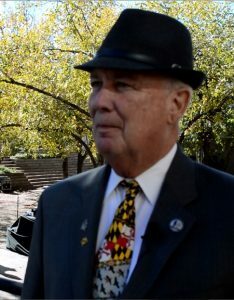 Representing Maryland at the wreath-laying ceremony was David R. Craig – Executive Director of Maryland’s World War I Centennial Commission. “The major reason we are here today is for the wreath laying. 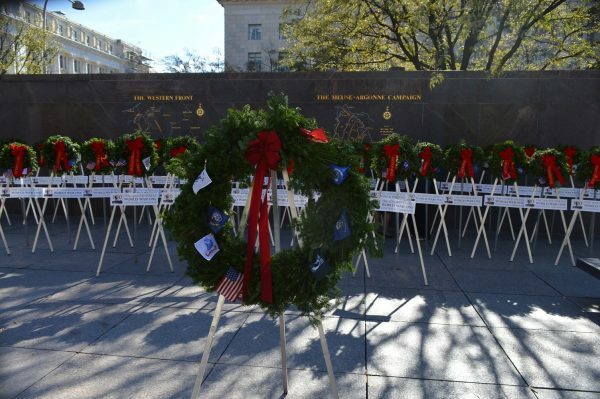 Those wreaths will eventually be moved to Arlington. 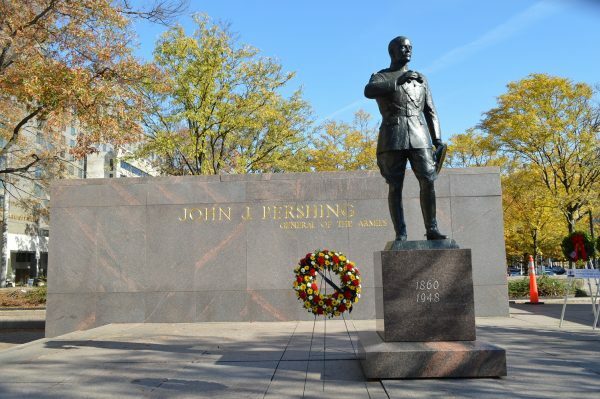 Craig spoke briefly about the importance of erecting a National World War I Monument in Pershing Park, then talked how Marylanders answered their country’s call in 1917. 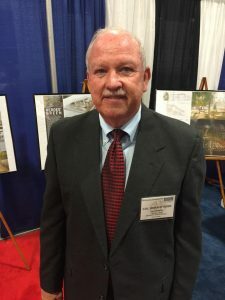 Maryland WWI Centennial Commission Executive Director David C. Craig. “Maryland played a major part in the execution of the U.S. war effort. “Maryland had two different roles during WWI. One, as we say, was ‘over there,’ because we had 62,000 Marylanders who enlisted in the Army, the Navy and the Marines. We’d like people today to appreciate the diversity of those numbers. 11,000 were African-Americans and 5,000 were women. The United States entered the war in April 1917 and continued the fight until the Armistice in November of 1918. Craig said that two Baltimoreans are sad but significant bookends to America’s involvement in World War I. “Our very first Maryland casualty of the war was Lt. George Redwood, from Baltimore. He was killed on May 29, 1918. In September of that year, the Baltimore City Council voted to change the name of a street in Baltimore to honor Redwood. The previous name was German Street. “The other significant casualty was the last man to be killed in the war was Henry Gunther, who was also from Baltimore. He was killed one minute before the war was over. All four of his grandparents were from Germany, but his parents were both born here in Maryland. “Johns Hopkins doctors and nurses treated the wounded both overseas and here, but there is also a story about a fellow, and I believe his name was Dr. Kelly, who bought 150 acres in Anne Arundel County, along the waterfront, and created a tent hospital for “shell-shocked” soldiers. These were people who hadn’t been physically wounded but were suffering from mental distress. They could come and stay as long as they needed, and I believe the place was operational for more than four years. Redwood and Gunther are remembered today for their battlefield deaths. Sgt. Alvin York returned to America whole and a living hero. We asked Gerald York if his famous grandfather shared any memories of the war? “He didn’t really talk about the war – not with the family. We watched the movie – he had a copy, so we watched that. I’m the Chairman of the Sgt. York Patriotic Foundation, and we’re restoring the original school building that he built in Jamestown, Tenn., to make it a research center for peace and valor. I’ve been going over a lot of his speeches and looking at his diary. I’m learning a lot, but not from him telling us, because he didn’t talk about it. “It always bothered him that he done what he did. Was the 1941 film about Sgt. York’s life accurate? We asked York about his thoughts on the proposed memorial? Has the US WWI Commission’s outreach been effective? “I think it has, because it’s not taught much in schools anymore. I think they’ve gone a long way to educate the public about – and bring attention – to Word War I. Efforts continue to raise funds for completion of the memorial. A full list of this weekend’s events in D.C., as well as information about this Sunday’s Bells of Peace program and other WWI-related topics may be found by visiting the U.S. World War I Centennial Commission, or by reading the Special Reports – World War I section of the Baltimore Post-Examiner.